See more objects with the tag dining, storage, tableware, leaves, grapes, vines, ladder. See more objects with the color dimgrey darkslategrey tan darkolivegreen or see all the colors for this object. This is a Jug. It was workshop of Joseph Angell III. It is dated 1854–55 and we acquired it in 1936. 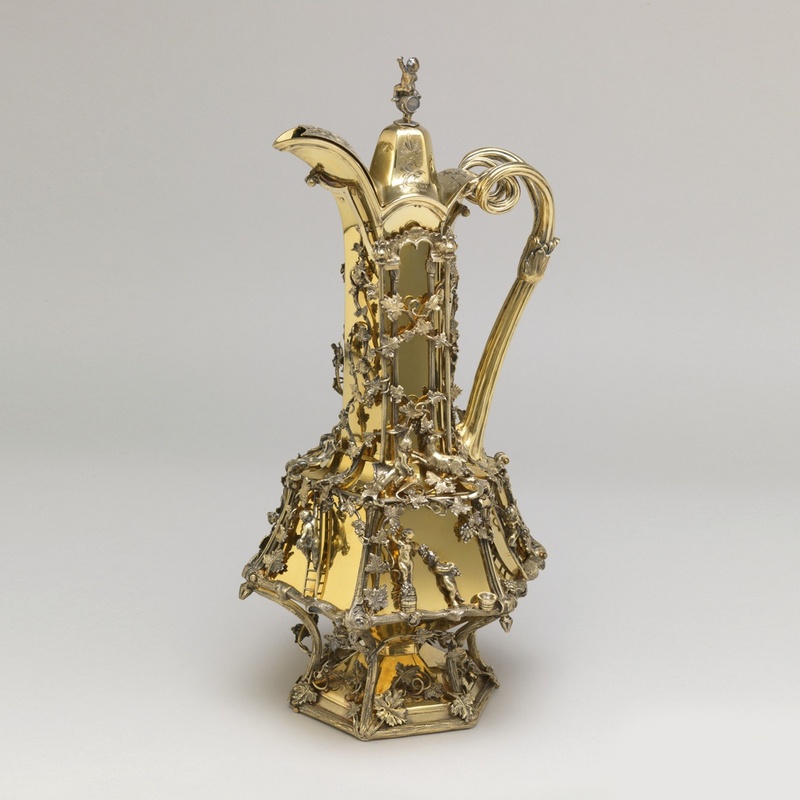 Its medium is raised, cast, and applied gilt silver. It is a part of the Product Design and Decorative Arts department. This object was donated by Louise B. Scott. It is credited Gift of Louise B. Scott. Maker's mark (JFA in shaped shield), lion passant, Queen's head, leopard's head, and date letter "T" for 1854-5. This object was previously on display as a part of the exhibition	Shock of the Old: Christopher Dresser.